Spring & One Off Cleaning Newham E | From £15/h! One Off Cleaning Newham E - A Job Well Done! Dear Customer, right now You can get an exquisite One-off Cleaning deal anywhere in Newham E. Simple as that. It is just a one time visit, covering as much as possible. The cleaners we send will do their best (as always) to make your place neat and impeccable. Our One-off cleaning service is hourly based so that You can make the most of it. Perfectly suitable for a deep spring cleaning. Have a look at some of the amazing domestic one-off cleaning perks. Make up your mind and dial 020 3404 1646. We will take care of all your domestic and/or commercial requests and demands! Newham E availability! In order to get a better overall picture of our one-off cleaning Newham E, we will provide you with a detailed cleaning checklist. One of the first things is to fully inspect your place and what the team is going to clean. We want to make sure that the time set is going to be enough. Some surfaces are delicate or require a huge amount of time. RDA Cleaning & Maintenance Ltd. will suggest the best possible cleaning scenario depending on your requirements, of course. Any advice of yours is welcomed. By giving the cleaners a priority cleaning list you will ease the working process. We will help you with that. The specialists know the needed cleaning time for many appliances. The cleaning checklist is also on the table simply because we want to meet your expectations in the best possible way. The idea of having a thoroughly cleaned and shiny house that makes you feel absolutely cosy is no longer just a long-distance plan/dream. 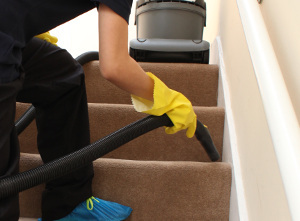 Our impeccable spring cleaning Newham E service is suitable for all of you - from housewives and students to landlords, tenants, agencies and anyone who does not have the time or willingness to complete it himself.